I have noticed that my hair care was lacking deep treatments. When I was younger and permed my entire school life I would get my hair steamed in between touch ups. Roll on to the natural hair me and I have surely slacked in this area. For the last few years I have only had a deep treatment once a year at the salon when my hair is being trimmed professionally. On a whim I bought a few treatments and so far have only tried one. I do not know why these treatment packs just do not come in a bottle or a jar. Would be so much cheaper than paying 99p or more per treatment. 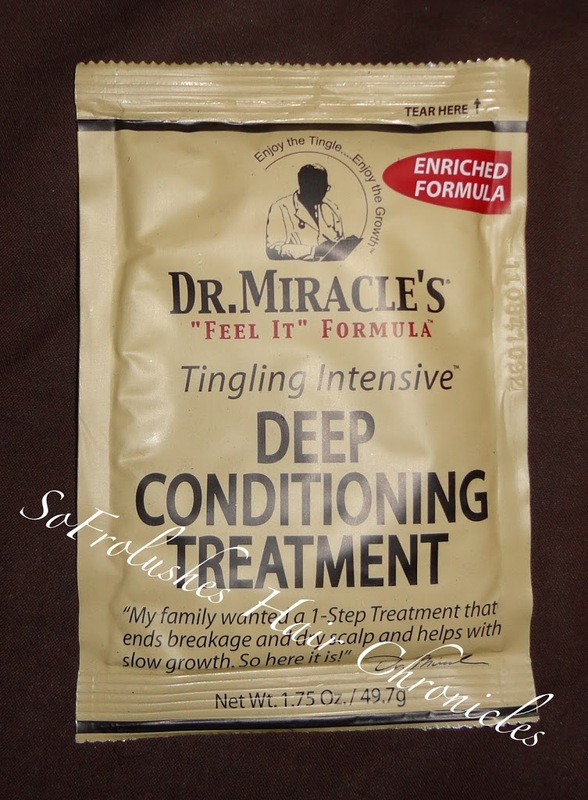 The Dr Miracle’s Tingling Intensive Deep Conditioning Treatment claims to help breakage and dry scalp. As you know I have suffered from breakage and I am slowly recovering. My breakage has slowed but still anything that says it will help breakage is a good thing so I hope. I left the treatment on for 30 minutes. It tingled as promised but the sensation was not annoying to me. Once rinsed out my hair felt really soft and well conditioned. My hair is often dry so this feeling was a welcome relief. I will definitely try this product again at some point. However if there is a jar or bottle equivalent or similar I would prefer that. It is clear to me I need to improve moisture levels in my hair. Still working on that moisture and seal. Surprisingly using products I have is working okay. Any good conditioning tips and moisture retention balance etc suggestions? I want to have at least 1 or 2 regular products to use for deep conditioning my hair.